Parthenocarpic cucumbers may bring high prices at the market, prompting many people to attempt to grow them in their home gardens. These "burpless" or "European" cucumbers are the product of highly specific breeding that results in plants that are capable of producing fruits without ever being pollinated. There are many varieties of parthenocarpic cucumbers among all hybrid cucumber classes. Cucumbers are easy to grow on trellises in the garden. Parthenocarpic cucumbers are hybrid plants that have been bred with emphasis on the incompletely dominant gene Pc, which is responsible for these cucumbers to produce fruit asexually. These cucumbers produce few or no seeds, any seeds that do ripen will not be fertile -- parthenocarpic cucumber seeds must be sourced yearly. Parthenocarpic cucumbers are best grown indoors. Although they do not produce pollen of their own, they can still be fertilized by other varieties of cucumbers that might be within a reasonable distance for bees to fly. 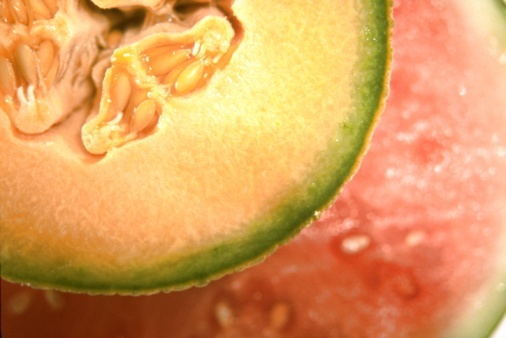 Fruits resulting from pollination will often be deformed. If you can keep bees from your parthenocarpic cucumber flowers with well-sealed row covers, they can be grown outside. Remove any covers as soon as fruit begins to set. Parthenocarpic cucumbers are nearly all gynoecious, meaning that they only produce female flowers. Not all gynoecious cucumbers are parthenocarpic, however. Gynoecious cucumbers originated as a way of increasing production by getting rid of all the nonproductive male flowers. Male flowers will fall off the vine once they've released their pollen and there are about 10 times as many as female flowers. A few parthenocarpic cucumber varieties are available for home gardeners. Parthenocarpic slicers include Sweet Success, Euro-American, Socrates, Tyria, Diva, Tasty Jade and Suyo Long. County Fair 83 is a parthenocarpic pickler, but the slicers can also be harvested young and used for pickling since seeds are not a problem.